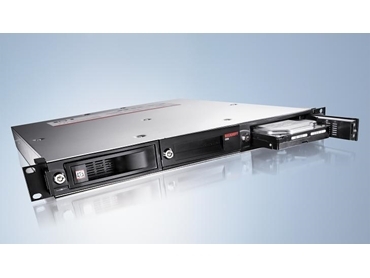 BECKHOFF Automation introduces a new line of space-saving industrial PC systems with just one height unit for 19-inch rack installation. With the new C5210, Beckhoff is extending its series of 19-inch slide-in industrial PCs to meet the growing demand for control devices with a flat design. The C5210 industrial PCs feature a 1.9 GHz Intel Celeron processor, 2 cores on a 3½-inch motherboard. The PCs are equipped with an on-board RAID controller and two SATA 3½-inch hard drive removable frames. The industrial PC can be extended with PCIe modules, a Mini PCI card or a DVD drive. With just one height unit (1 HU = 44mm), the C5210 industrial PCs represent a space-saving control alternative without any compromise on performance or function. Measuring just 482.7mm W x 44mm H x 493.8mm D, the flexible 19-inch slide-in IPCs are suitable for space-constrained areas such as building services, measurement technology, control rooms or laboratories.